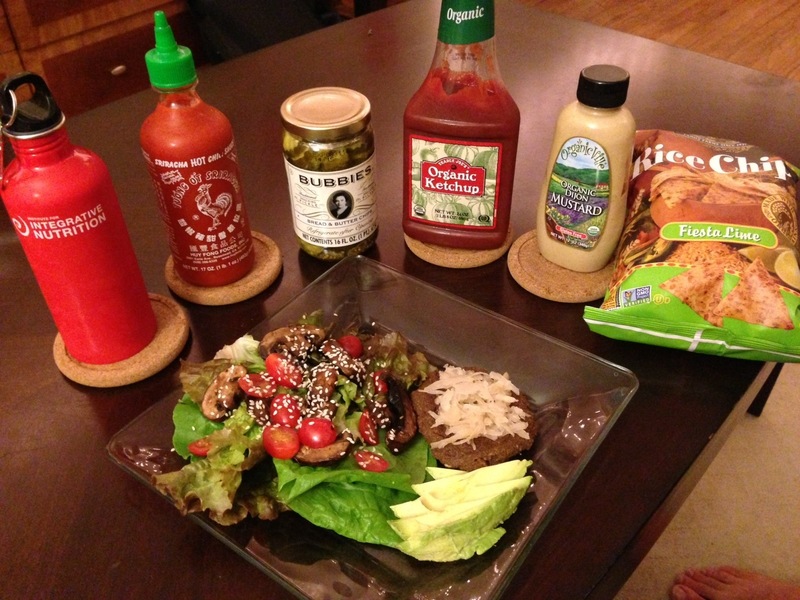 ← Food combinations that make you feel great! 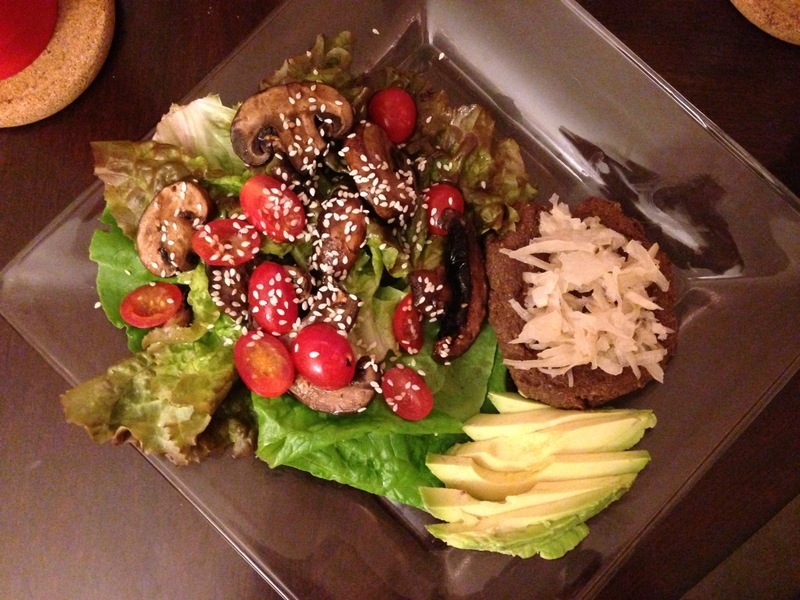 Raw Mushroom Nut Burger To Die For! In a food processor add walnuts, onions, and garlic and pulse until coarsely ground. Add everything else except flaxseed and blend until mixed and coarse. Add flaxseed in and process until mixed and smooth throughout. Raw version- place 6 3/4-1 inch thick equal scoops of mixture on dehydrator tray and dehydrate for 1-2 hours until top is dry. Flip and dehydrate for 6-8 hours until dry on the surface but still tender to touch. Baked version- preheat oven to 325°F and grease a baking sheet with coconut oil. Shape same as raw version and bake for 15 minutes until the tops are dry. Flip and bake for 18-20 minutes until dry on top and lightly browned. Cool and serve! whisk liquid ingredients and sesame seeds together in a bowl.